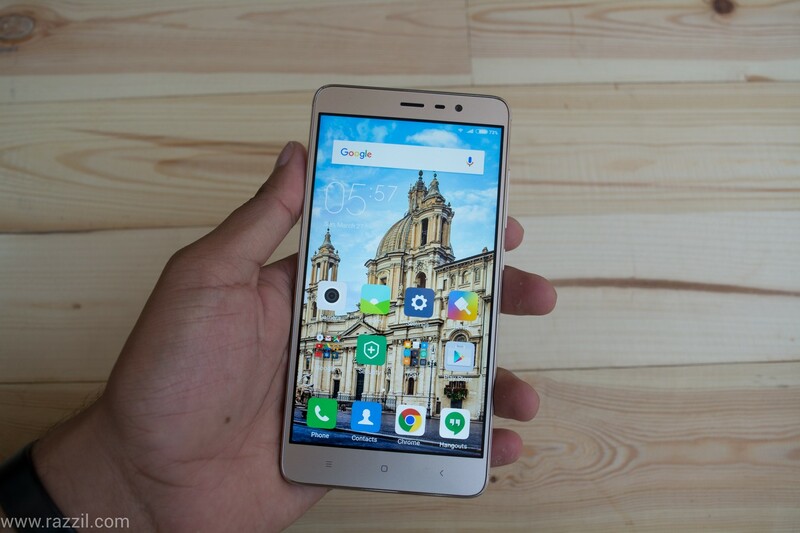 Mi Redmi Note series has been very popular big screen budget phone. The Redmi Note series provide complete package those who are looking for perfect big screen phone under budget. 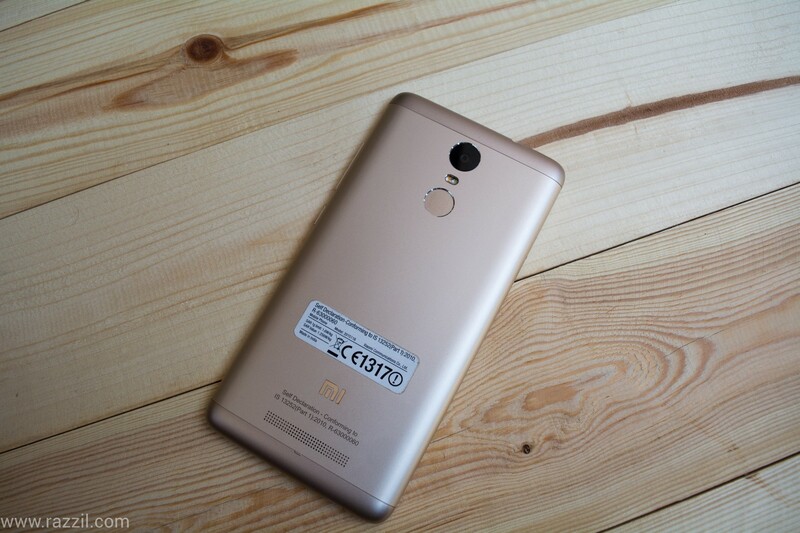 Mi India recently launched the Redmi Note 3 in India. The phone is available in two variants: 2GB RAM, 16 GB Internal Storage & 3 GB RAM & 32GB Internal Storage. Inside the box, you’ll get a Redmi Note 3, 2A fast charger, Micro USB cable, and manuals. There is no earphone in the box. 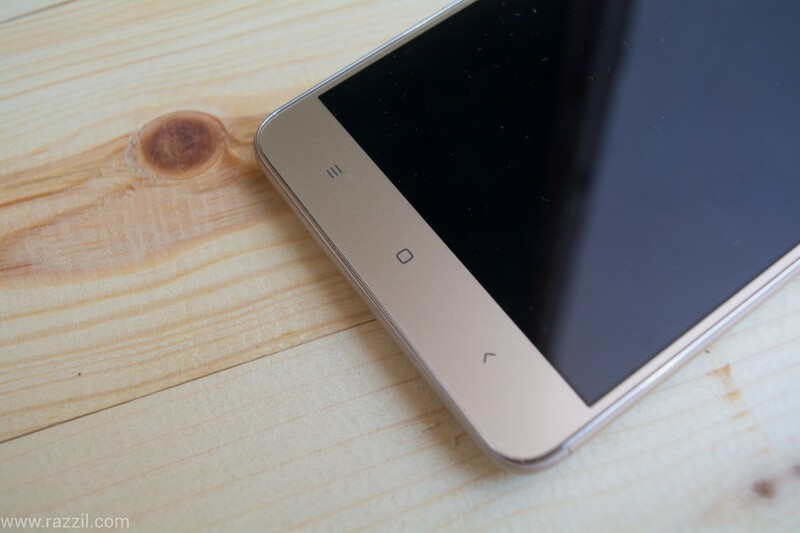 Redmi Note 3 comes up with the full metal body which is light in weight around 164 g and thickness of 8.65 mm. With that level of slim profile, Xiaomi managed to embed 4050 mAh battery. 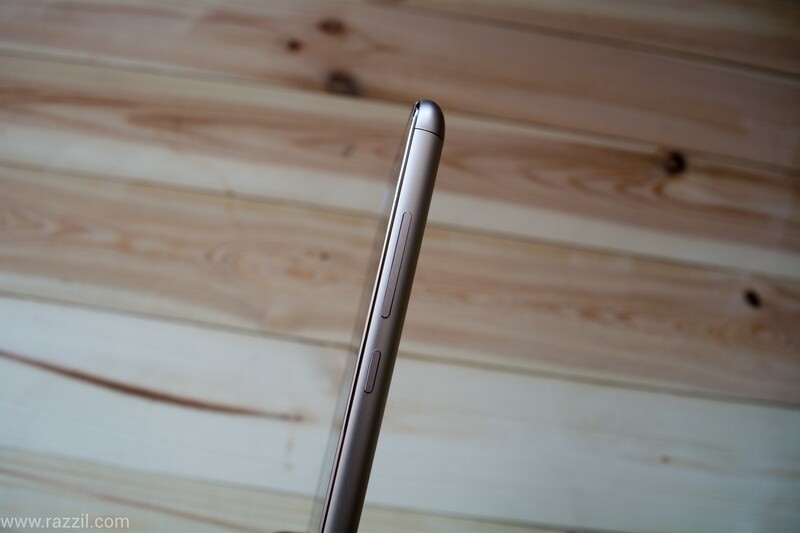 The Gold Redmi Note 3 looks and feel premium thanks to matte finish on the rear side. 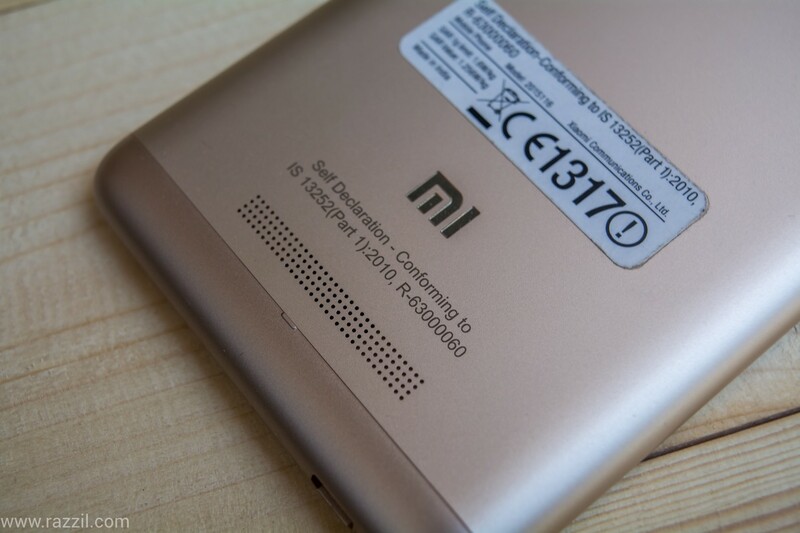 On the backside, the phone has a camera, flash, fingerprint scanner, mi logo and speaker grill at the bottom. On the front, the phone has 5.5-inch Full HD IPS display with very thin bezel, LED notification light, front speaker on top along with 5MP front camera. Buttons are at the bottom of the phone. On the right-hand side, you’ll find a power button & volume button. The buttons are popping out nicely from the body. The SIM & MicroSD card slot is on the left-hand side. Top of the phone, you’ll find 3.5mm audio jack & infrared emitter. Yes, you can control TV, AC from your phone. The Micro USB charger is at the bottom of the side and for some reason, Xiaomi decided to put the connector on the left-hand side instead of center. The phone feel sturdy in your hand and provide enough grip to comfortably hold in your palm. 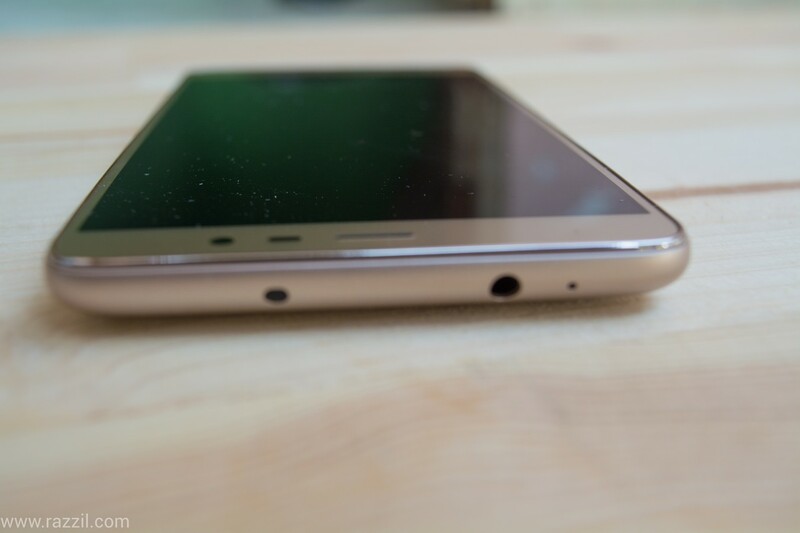 The Redmi Note 3 has 5.5-inch Full HD display with 1920 x 1080 resolution and 403 PPI. The phone is using IPS display with wide 178° viewing angle. Unfortunately, there is no Gorilla Glass for protection, the company is using an equivalent product on the display. The display is bright & vibrant and brightness & contrast can be control based on ambient light. This feature allows you to see clearly in direct sunlight. With Night Display, the phone will dim down the brightness to prevent eye strain. The brightness is 5 times lower than regular phones. With Reading mode, the phone will adjust the mount of blue light on the display. This will create yellow hue which reduces pain of reading specially in the night. 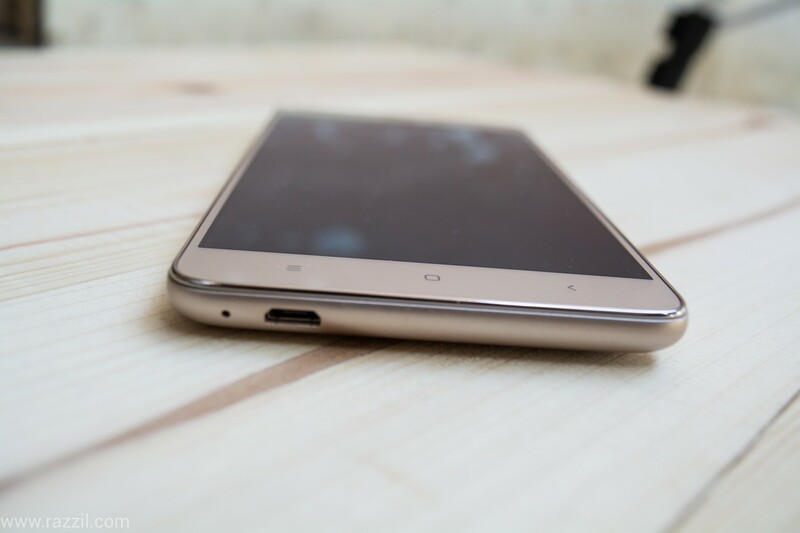 The Xiaomi Redmi Note 3 comes with Android 5.1.1 Lollipop with MIUI 7.1 on top. Android N is around the corner and the phone still running very old Android version, that’s the problem with almost each manufacturer who don’t care to upgrade the Android version. The MIUI 7.1 is now more polished, vibrant, power-efficient and loaded with features. MIUI 7 is improved system response time by 30% as well reduce the battery consumption by 10%. The user can customize the look and feel of the phone by customizing the fonts, color, icons and transitions effects. 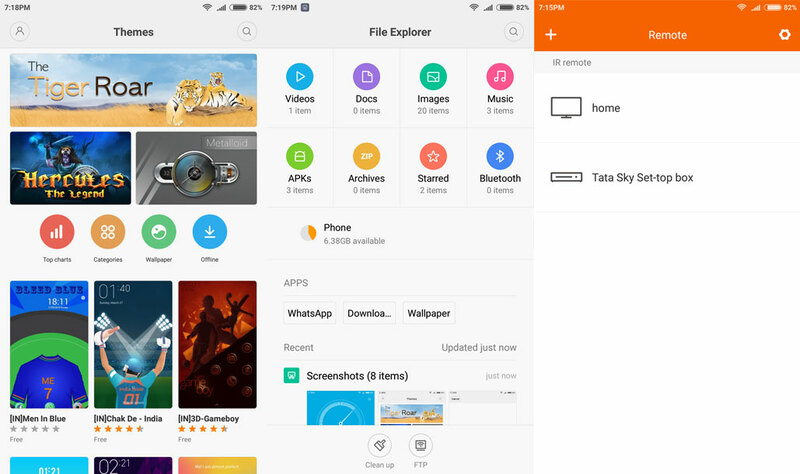 The user can also download the new themes from theme store which comes preinstalled in the phone. MIUI also has a reading mode which can be toggle from Notification quick buttons. The reading mode will turn the screen into yellowish. There is also a child mode which allows you to lock SMS and apps. 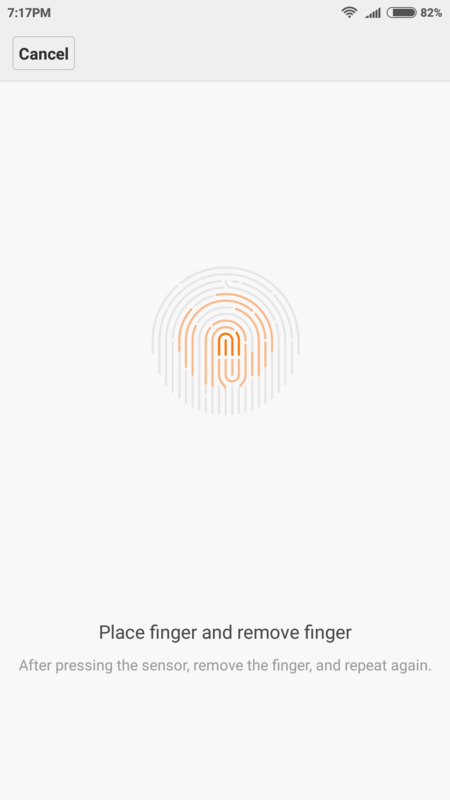 MIUI allow user to setup up to 5 fingerprints to unlock the phone. And the fingerprint is not limited to just unlock the phone, the user can also use it to control child mode. 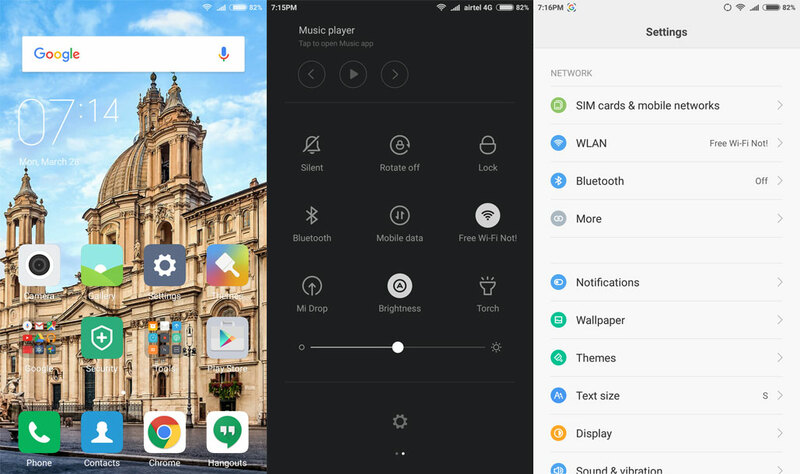 The user can also record 5-second video to own profile and once enabled, other MIUI user will be able to see the 5-second video when you call them. The Normal caller id also put images on the front, the whole screen background will show the profile photo. MIUI also giving the 5GB Mi Cloud storage. 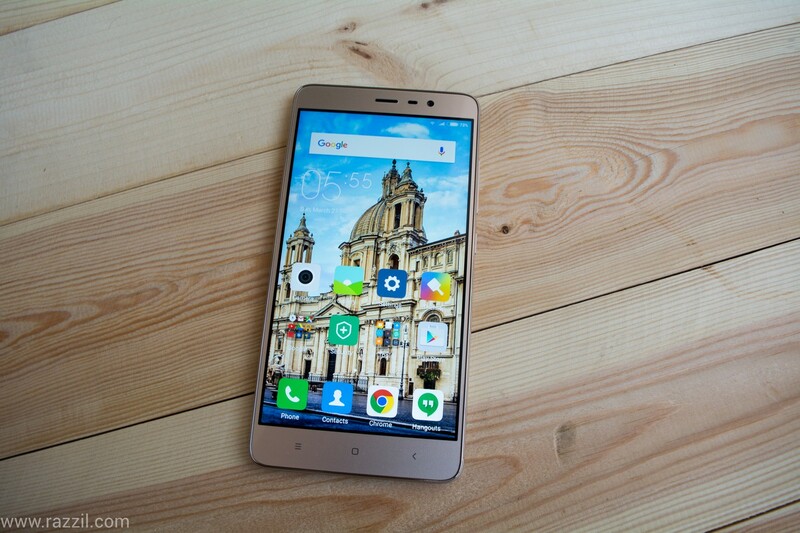 Redmi Note 3 is powered by Qualcomm Snapdragon 650 64-bit processor mated with Adreno 510 GPU. The phone managed to deliver great performance with a minor glitch. The phone comes with 2GB LPDDR3 of RAM and 600-700 MB RAM is available for the user. I’ve face no problem with day to day task with the phone and even game works perfectly but sometimes UI crashed and it takes few seconds to load. I’ve often seen the loading screen when you hit the home screen button. I’ll recommend you to go with 3GB Variant instead of 2GB one. 16 GB Internal storage is not enough, only 6 GB is available for the user. The phone do have MicroSD card slot but that’s the hybrid one, it means either you can use MicroSD card or second SIM. Most of the Indians prefer to have two SIM. If Redmi Note 3 SIM card say No Service, just update the phone with latest OTA to resolve the problem. Yes, phone heat up quickly when you perform heavy tasks on the phone. And because of Metal body, you’ll feel the heat. But the good thing is the phone maintain its cool during day to day tasks. The phone equipped with 13 MP rear camera with 0.1s Phase Detection Autofocus & powerful dual image signal processor. The phone Dual ISP reduces noise and improves contrast. The camera produce a brilliant image in daylight, color reproduction, detailing is sharp but the phone struggle in low-light conditions. The camera app is neat and easy to use, swiping left will show the scenes and swiping right will bring filters. The best feature in the camera is HDR mode, the xiaomi did the great work in software front to bring the best result. The front camera also produces sharp & bright selfie. The phone comes up with 4050 mAh non-removable battery. The battery is the strongest part in the phone, it can easily take you to two days with normal tasks. 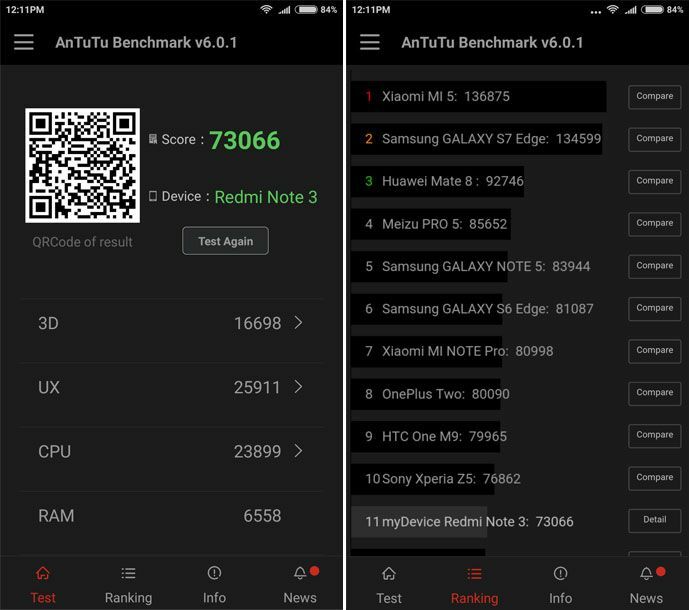 The Xiaomi did the well with CPU & Software optimization to get the more juice from the phone and also it managed to put that big battery in the very thin phone. The phone also support Qualcomm Quick Charge 2.0 which rapidly charge the phone. The quick charger comes with the box so you do not need to buy separately. Xiaomi again managed to deliver great phablet at 10K price. Xiaomi Redmi Note 3 has everything a youth want. Big Full HD Screen, 2/3 GB RAM, Decent Camera, premium design with the slim metal body and long battery life. 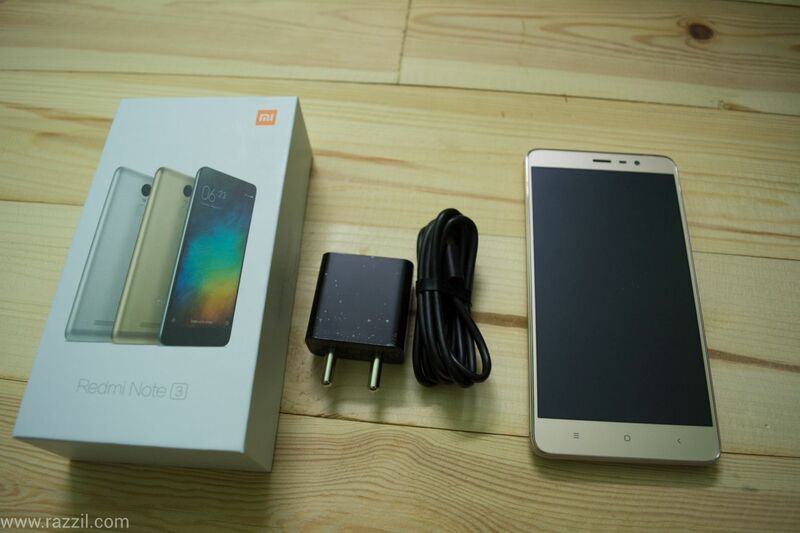 The Redmi Note 3 is price at Rs. 9,999 for 2GB RAM, 16GB Internal Memory, and Rs. 11,999 for 3GB RAM, 32 GB Internal Memory. Except few minor fault like an unstable fingerprint scanner and low light camera performance, the phone is the decent device. Hope Xiaomi deliver the latest Android update to keep the user up to date. Xiaomi Redmi Note 3 has everything a youth want. Big Full HD Screen, 2/3 GB RAM, Decent Camera, premium design with the slim metal body and long battery life. 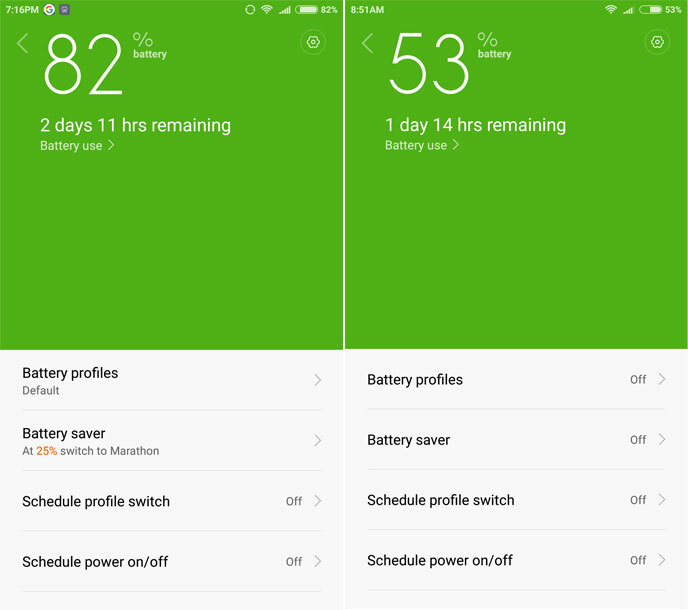 After miui 8 update baterry life shows 16 hours only after fully charged..